If you've been reading our Blog during the past 12 months, you will recall two stories about Charles Williams and his (awful) neighbors. If not, here are the links to the first and second articles. They are really worth a read and as they've already been written, we're going to forego re-writing the two stories here again. After Mr. Williams suffered a devastating accident in which he lost both legs, he sold off two parcels of land to fund the construction of a dream backyard garage. All he wanted was a really great place to enjoy what gave him great satisfaction while dealing with life in a wheel chair. That favorite thing was working on cars (mostly Classics) by himself and with all of his friends who didn't have access to a similar facility. But instead of taking a "live and let live" approach, Williams' three next door neighbors embarked on a bitter feud in an effort to shut down the hobby garage. 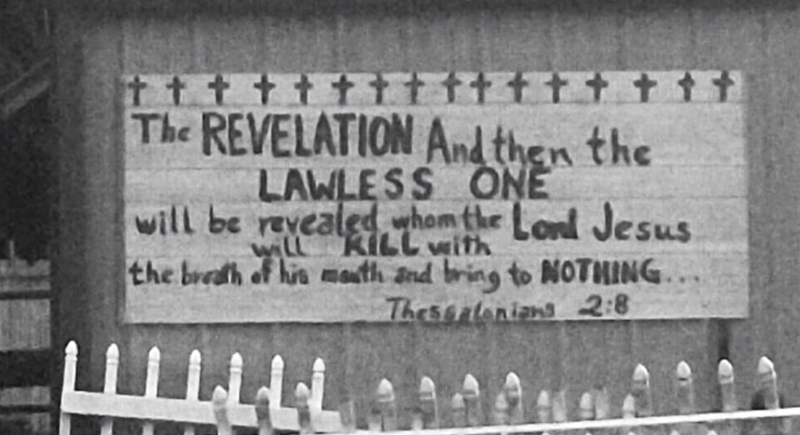 At one point they erected a sign declaring Williams as"the lawless one" decrying their wish for Jesus Christ to strike him dead. It was thought that "all's well that ends well", but shortly thereafter the same neighbors took the case to the Delaware Supreme Court. In an effort to defray legal expenses, Williams did take the advice of friends to start a GoFundMe account. The effort raised a much needed $58,000. 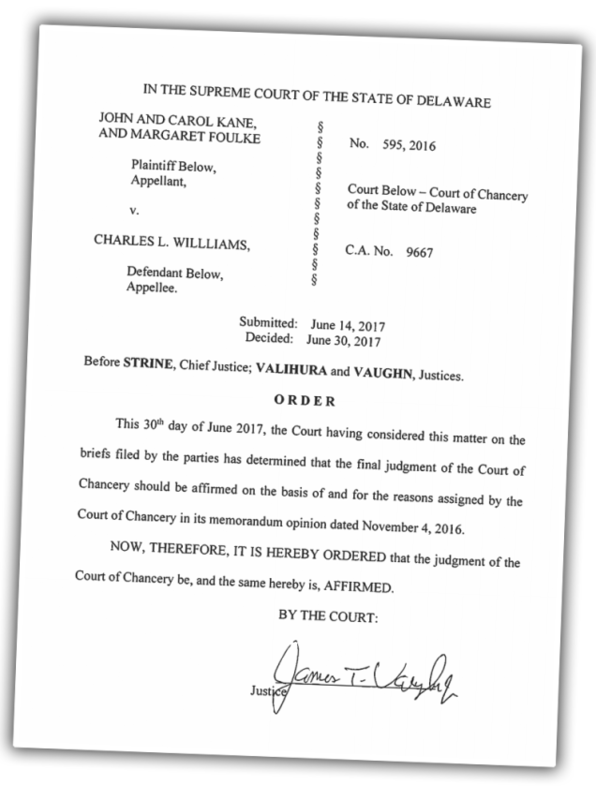 "In The Supreme Court Of The State Of Delaware"
The court issued their decision on June 30, 2017, upholding the decision of the lower court in Williams' favor. So to you Mr. Williams, congratulations for fighting the good fight and winning! While Williams remained determined to forgo efforts to defend himself with a similar negative campaign against his neighbors, we truly hope the decision by the Supreme Court will open the opportunity to collect all of the legal fees not covered by the GoFundMe campaign. It seems fair as after taxes and fees, only $40,000 of the funds remained.